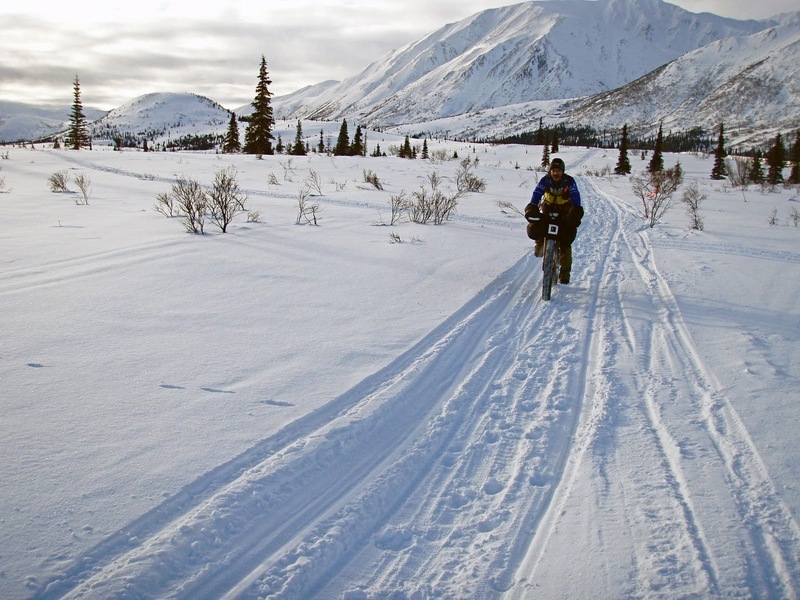 I didn't take my camera out much this week, so instead I'm posting a blog archive photo of Brij Potnis riding the soft trail out of Puntilla Lake during the 2008 Iditarod Trail Invitational. For many layered reasons, this sparkling, zero-degree day was one of the best days of my life on the endurance racing spectrum — only to be immediately followed by one of the worst nights of my life. Funny how these endeavors work that way. It amazes me that this was six years ago; so much about that week remains fresh in my memory, swirling through my subconscious as though it just happened. I'm working on building up stoke as the pre-race jitters really set in. Not helping this matter is an exasperating hiccup in my health that I can't easily solve. I blogged a couple of weeks ago about a rash and congestion that I suspected were caused by allergies. The symptoms went away for about ten days, but came flaring back with a vengeance last Thursday. The symptoms are not debilitating, just uncomfortable and energy-sapping. It puts me in a funk, and the issue is complicated not just from uncertainty about what I might be allergic to, but not knowing if these are even allergies. It could be a reaction to stress, or hormones, or an infection, or who knows? I'm going to see my general practitioner on Thursday with the hope of at least ruling out some possibilities, or scoring an effective drug in time for our flight to Alaska next week. I really don't want to have to deal with this issue out on the trail, but then again, maybe by then I'll have enough to worry about that it won't even make my top five list of concerns. That said, the mystery rash is really boosting my resolve to rest a lot during the taper, because at its worst, it hurts to move at all. Despite this, last week's training went okay, although I hoped to put in one last long effort on Sunday and did not. Monday, Feb. 4: Road bike, 1:25, 18.8 miles, 1,980 feet climbing. Redwood Gulch loop. I had ambitions to put in a longer ride and admit I cut it short simply because I was distracted and couldn't muster the enthusiasm for three hours in the saddle. I am quite bad at training when it comes to doing things I don't feel like doing. This is evident in the fact I didn't put in any cart-tows this week. I wish I had; we were planning a big sled-dragging weekend at this point and thought I could put it off. Sigh. Tuesday, Feb. 5: Run, 1:06, 7.6 miles, 670 feet climbing. Felt upbeat for my Tuesday "lunch hour run" and ran fast, for me at least. It's rare I put in a trail run that comes in under nine-minute-mile average. Sadly, this would be the last I felt good all week; I should have put in that long ride on Monday while I had the energy. Wednesday, Feb. 6: Road bike, 1:34, 17.8 miles, 2,656 feet climbing. Montebello climb. Felt sluggish, and assumed it was PMS. Thursday, Feb. 7: Run, 2:46, 15.2 miles, 2,955 feet climbing. A rash flare-up and general ickiness showed up with my period; it was not a happy day. I hoped to put in a moderate run, but preemptively cut it short due to the health woes. Still, I was enjoying the foggy, wet conditions, and running —especially steep hill climbing — is a good distraction from most anything else. After a few miles, I found a stride that allowed me to continue comfortably with a couple of stops. Friday, Feb. 8: Run, 1:05, 6.3 miles, 1,079 feet climbing. Wildcat loop. I nearly killed this run just fifty meters from the parking lot at Rancho, because the rash had really flared up on this day and made it feel like I had shingles on my lower body. Maybe it is shingles? I don't want to think about it. I've really spent too much time on Web MD this week. But, like Thursday, after getting the legs moving a bit, the tightness subsided and I did not feel too uncomfortable during the run. 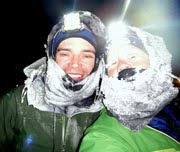 Saturday, Feb. 9: Sled drag, 4:48, 12 miles, 1,327 feet climbing. The rainy outing in Yosemite National Park. After an inch of rain saturated already wet snow, this was like snowshoeing through a Slurpee. Although our sleds were gliding well, it was still really hard work wading through that thick slush. At times during the drive to Yosemite, my discomfort made me feel downright nauseated. Still, I felt a lot better once we got out into that cold air and started working hard, so I can't say my rash impacted my pace on this outing. However, I find sled-drag pace to be disheartening in general, especially when I apply perceived effort to the mileage gained. If I ran on trails for five hours it would be easier and I'd cover at least twice as much ground, but, alas — that's not what I'm doing. I can't even conceive how I'm going to manage the physical strain of the ITI on foot — which, like it was six years ago with the bike, is one of its main appeals. Sunday, Feb 10: Run, 0:57, 5.7 miles, 587 feet climbing. Again I was not feeling good, but joined Beat for a short run. My pep for running just continued to go downhill this week, but I'm hoping for the best. At least it's taper time now. I read your three books very recently. The DIVIDE book was heartbreaking, but it appears you landed in a better place. I read your blog now but am waiting for the next book. I think you have many stories to tell. A painful rash sounds like shingles. I certainly hope it is not. The shingles comment was actually supposd to be a bit of a joke about the hypochondriac way many of us (myself included) work our way up to self-diagnosis of the worst case scenario based on online browsing. Sorry, bad joke. I did see my doctor on Thursday and he believes it's eczema related to allergies. I suppose the next step is to see an allergist and find out what I might be sensitive to (there's a good chance it's a type of food.) I have found some relief in the form of a corticosteroid cream, but opted out of Prednisone since I am already filled with nervous energy, and without a proper outlet (because of tapering), the oral steroids would probably send me into a whirlwind of anxiety and insomnia ahead of the Iditarod.